Getting your site ranked is not about just hiring an SEO Backlinking Service and expecting to see your site muscle its way to the top of your choice search terms. There are other Google ranking factors you must consider. 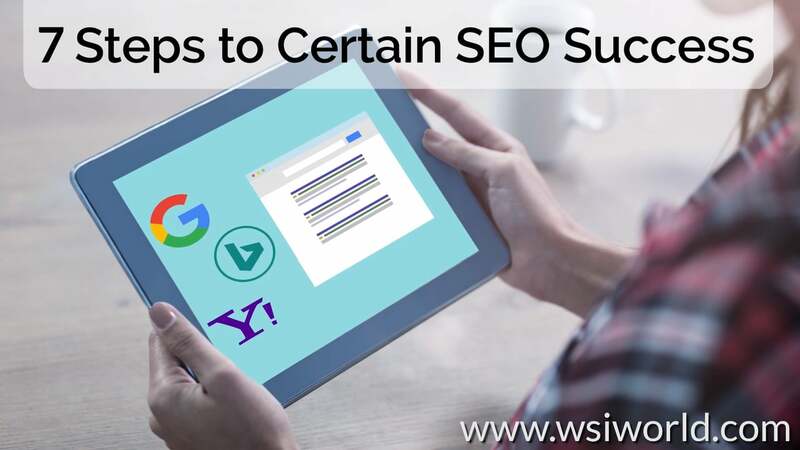 Failing to do so will only result in failure or mediocre Search Engine Results (SERPs) at best. The single most important thing you can do before you buy a link package is have your site optimized by an expert. We have 22 years experience optimizing sites utilizing proprietary tools. Our scientific approach to optimization is unmatched in the industry. I often get asked what I do for a living. When I say I rank websites in the search engines, people ask me; “so how do you do that?” I am always dumfounded by this question. It is akin to asking a mechanic how he fixes cars. Ranking sites has become more complex through the years. This industry is full of self appointed “SEOs” who have done nothing but read a few articles, attend a few conventions and are newly minted “experts.” I have been doing this for 22 years and I still find myself banging my head on something that just seems illogical. I have found that the more I bang my head, the better I become at my job. Experience over the years and using the scientific approach has helped me be very good at what I do. Long ago when Search Engines (SEs) were in their infancy, it was simple enough to word stuff a page with your keyword to rank your site. That has all changed. Modern search engines use complex mathematical models to determine relevance and quality of the content. Sure SEs can’t really read, but based on advanced statistical analysis, certain axioms can be established to weed out poor quality content. The art and science of back-engineering plays a big role in figuring out just exactly what these metrics are. We have taken the time to do a massive 10,000 data point statistical regression to determine precise page optimization metrics. We know with deadly precision what search engines are looking for. So take the guess work out and allow us to optimize your page. This is not “feel” SEO, this is hard cold numbers optimization employing trained professional writers who will create compelling beautiful prose. We believe SEO should be like water. It will take the path of least resistance, penetrate solid rock and take the shape of its container. As such, Google has already defined the container as well as the path of least resistance. However, this is all hidden in complex mathematical algorithms. The chances of guessing at what is right via feel is next to impossible. Let us optimize your site, and along with a potent link program, fineness your site to the top. The last thing you want us to do is push your 5 ton website up a hill. Popularity is a factor of links. Google’s core algorithm has remain unchanged since its inception in 1997. All that has changed is that they have added teeth to their Webmaster guidelines. To this day, Search Results are skewed by popularity metrics. These metrics are based on relationships between websites via anchor text links resulting in what is referred to as PageRank. It is still possible to rank a page that has absolutely zero on-page relevance simply by bombing it with links. This is actually a complex endeavor and sounds simple in principle but difficult in practice. With all the spam filters added to its algorithm to enforce its guidelines, Google bombing has become near extinct. Some of the changes include the mathematical theory of sets and subsets. Here is where your eyes will roll in your head: Given the statistical PageRank distribution of the Google Main Index, links should be a subset mirroring a Poisson distribution. Think of it like a fish tank, every time you scoop a net, you may have some big ones, some small ones, sometimes more, sometimes less and sometimes nothing at all. Diversity has been the biggest change in Google’s algorithm. Diversity is actually an inverse relationship in that the greater the diversity index the worst it is. The Holy Grail is a diversity index of 1. The latest incantation has been Penguin 2.0. Sites with high diversity indexes have been hit. As mentioned above, these are all mathematical axioms that state: if a site has a lot of links from a single domain, it must be buying links. Our job is to build you a link profile that is both divers and statistically distributed. By doing this, your site will not only rank but stand the test of time. This one is pretty straight forward. If a site is thematic, then the larger the site the more authoritative it is deemed. Unlike the past where there was an even playing field, modern search engines tend to give preference to larger sites. Google claims it has been trying to correct this, however the data shows otherwise. There are many ways to increase your site size. You can write content, or you can inquire about our City Hubs and Info Hubs. Our City Hubs not only bulk up your site with thematic content, they help you rank and dominate geographical areas and improve your bottom line. Info Hubs on the other hand just bulk up your site and create thematic content at the cost of pennies per page. When you look at Search Results, there is something that is not always apparent. Only when you look under the covers to you find that almost all the pages come from old domains. You will rarely find young domains ranking at the top. This can be frustrating to find out. Many seasoned experts will often point you to buying an old domain. Now this can be tricky. Does the domain have prior penalties? Is there some bad JuJu waiting to bite you. There are many sources to purchase aged domains. The key is to have an expert scrutinize it and make sure it is squeaky clean.